General Payment Claims are one-off claims that are used for projects or works that have definite charges. You can add payments to your claim either from the GPC Dashboard or from the Payment Register table. 1. 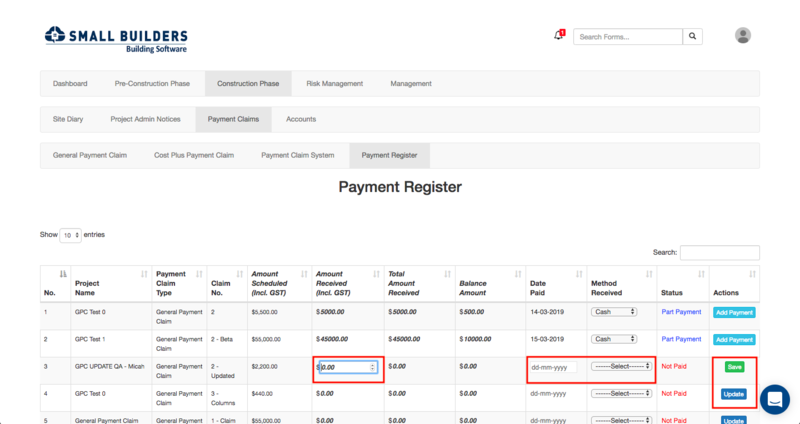 To register a payment from the dashboard, just click the Add Payment row under the Action button. 2. The Payment Register form will pop up. You can add your payments on the Amount Received field. You can also make full payments by ticking the box for Make Fully Paid beside the Claimed Amount. 3. Hit Save Payment and your payment is saved! 4. 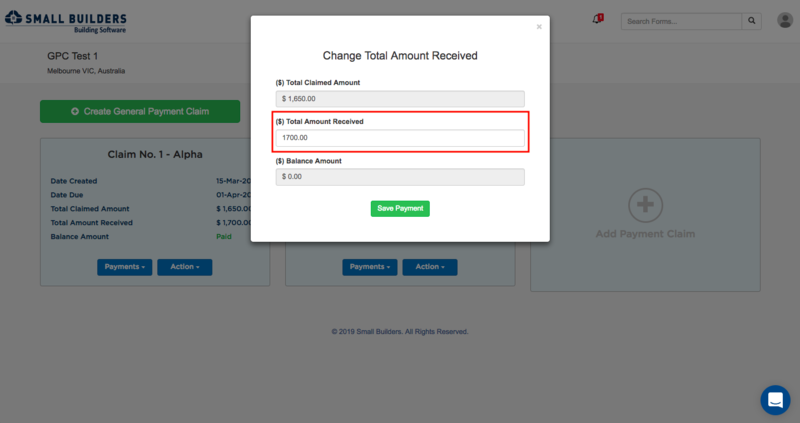 You can also change your Total Amount Received by clicking the Change Total Amount Received row under the Payments button. 5. The Change Total Amount Received form will pop up. You may change your total amount received directly from the form. 6. 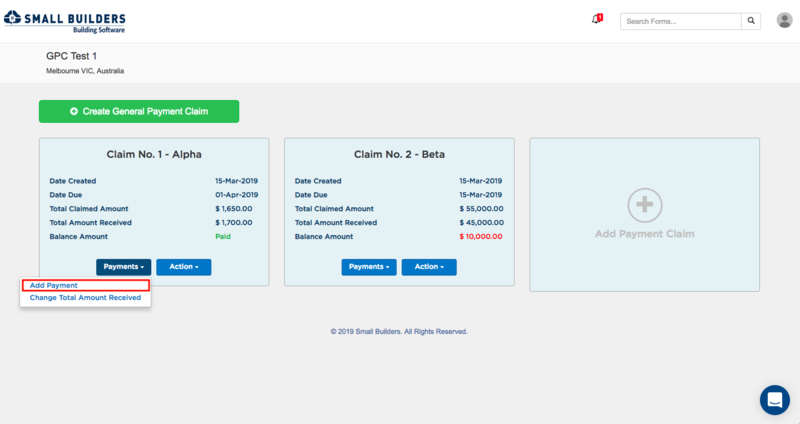 To add payment from the Payment Register, from your navigation bar go to Construction Phase > Payment Claims > Payment Register or type 'Payment Register' on the search bar at the upper right corner of your portal. 7. Click Update for the claim that you want to add payments to then type in your payments on the Amount Received field. 8. 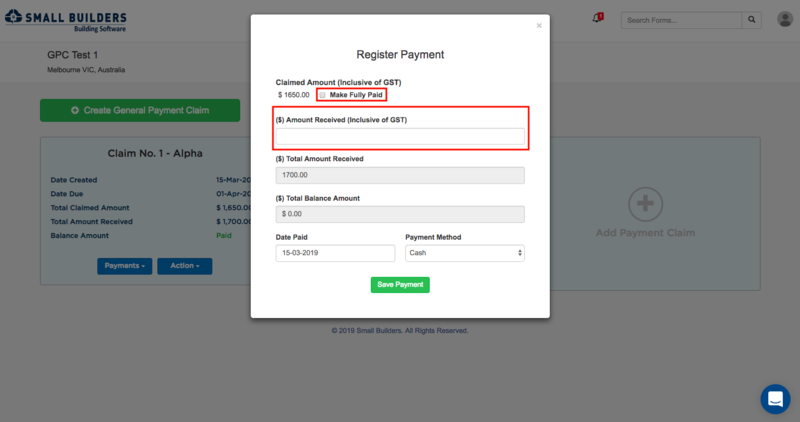 Indicate the Date Paid and Method of Payment then hit Save.